Superior Home Improvements is proud to complete its latest commercial roofing project at an apartment complex in Winchester, Kentucky. 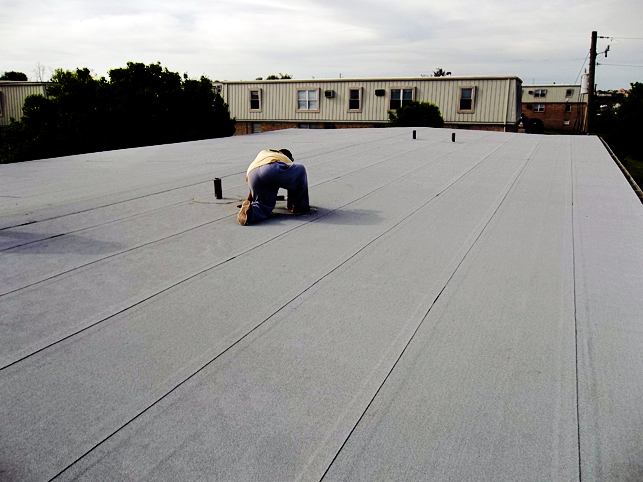 In less than a week's time, members of our work crew removed, restructured, resurfaced and finished the facility's existing flat roof. To view other commercial projects by Superior Home Improvements, click here. To view a full set of photos from this project, click here. Newer:Vinyl Siding: Winchester, Ky.Older:Home Roofing: Winchester, Ky.